Whether you are looking to explore business opportunities in your area or conducting market research on local New Zealand companies, you can do it much faster and more efficiently with BizDB.co.nz. This revolutionary platform utilizes cutting-edge technologies to put together information about businesses operating in New Zealand and deliver them in the most user-friendly form imaginable. BizDB came to life from the need to structure, organise and categorise business information available online. If you have ever searched for any business contact details, you may have experienced difficulties in finding up-to-date information on the Internet. It is often assumed that Google is an all-encompassing tool that is quite reliable. Nevertheless, information on numerous pages is not updated regularly, thus making it obsolete and redundant. As a result, pointless research costs you time, and, as we all know, time is money. Therefore, the creators of BizDB set out to put an end to futile research. With that aim in mind they created a reliable, regularly updated and user-friendly virtual tool that contains all the necessary information one might need to build a profile of a particular company. 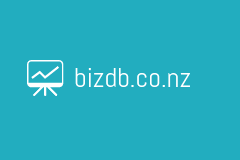 BizDB.co.nz is a platform which you can use for business and personal purposes. Look up companies by their name, keywords, corporate extension or NZBN. When you enter company name into browser bar located on the home page of the platform and press the search button you will get a list of all companies that match your search criteria. You can also filter the results by putting a company name, its type or NZBN. If, however, you are not sure about any of the search parameters, you can always browse company index and look up businesses manually. If you are planning on setting up a business, company index subpage proves extremely helpful to verify the name of your future venture. This section of the site is organised alphabetically which means that if there already is a business that bears the name you were planning to give to your company, you will be able to notice it right away. When you click on the name of a particular company, you will see that each record contains not only basic contact data but also detailed information about the directors, finances and industry of operation. The top section of company profile page contains registration details, such as full legal name of the business and its type, years the company has been on the market, industry code and classification description, as well as current physical and registered addresses. What follows is a brief description of the company, up-to-date contact details and financial overview. If you are planning on creating a partnership with a specific company, you should pay close attention to the distribution of shares and profiles of shareholders. Additionally, on the bottom of the page you will find historical records of all company directors. Each record comes together with a corresponding map to help you locate the company even faster. The map also displays other companies registered nearby, just for reference. The data published on BizDB.co.nz is extracted from government websites and official registration documents, which makes the information reliable and trustworthy.